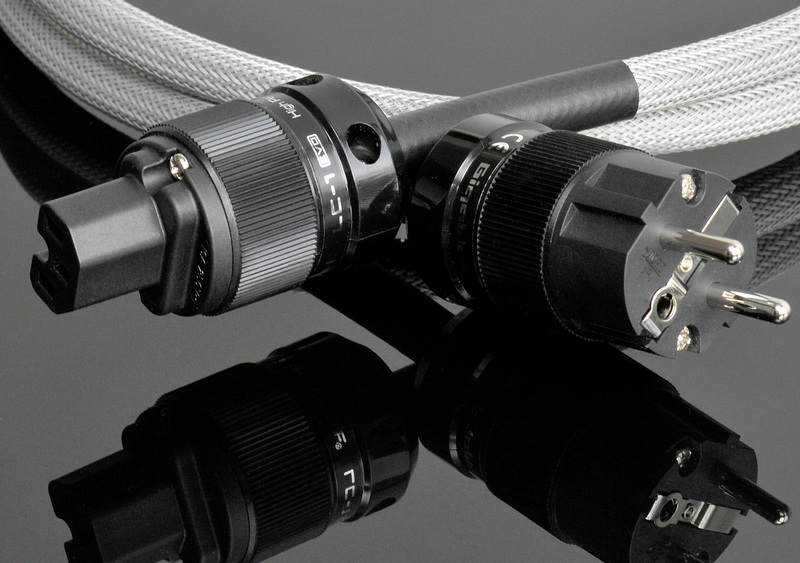 GigaWatt LC-1 EVO is the latest, basic power cord designed for Hi-Fi audio-video systems. This cable is also a standard equipment of our conditioners and power strips. Cable wires are made up from five solid core conductors with 1,5 mm2 cross-section, 99,997% pure copper (OFHC C10100), additionally subdued to an annealing process, which allows them to gain uniform structure and better conductance. The wires are arranged in a weave with newly developed geometry. This guarantees a steady, unthrottled current flow and does not allow any interference to appear at the output end. On the other hand, its comparably high intrinsic capacitance, which is caused by the cable geometry and the characteristics of the dielectric, stands in for great filtering and damping capabilities for a wide range of interference. The insulation of the conductors was made of a new, flexible material PK90AT28 with a very low dielectric constant. The outer jacket is made of a soft insulating material GA 70AT03, which suppresses undesirable vibrations. 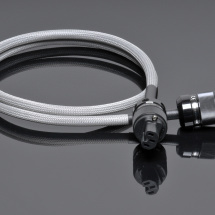 Additional protection of the cable is a light grey, wear-resistant plastic braid. The wires of the cable are protected by a static shield, made from laminated aluminium foil with an internal, copper flow wire. The tight construction of the shield covers 100% of the surface of the cable, perfectly protecting against all kinds of external interference. In addition the shield prevents the appearance and spread of internal interferences as well as returns parasitic currents to the ground wire. 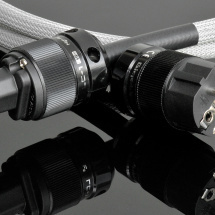 The cable is equipped with high quality plugs with high connection surface, which allows for steady current flow from the power grid. The contacts of both plugs were de-magnetized. All conductors are connected without the use of solder, and the connections to the plugs are bolted, what guarantees high reliability and optimal functionality. The LC-1 EVO is a power cord, which great capabilities bring an immediate, and clearly noticeable, improvement of the sound and picture reproduction in audio and video devices. 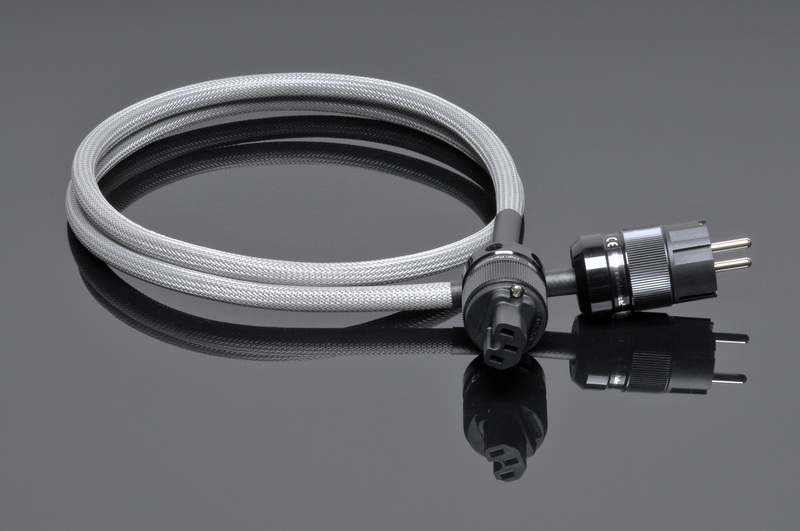 The universality of application, musicality and quality of sound combined with attractive pricing are the undeniable assets of this cable. 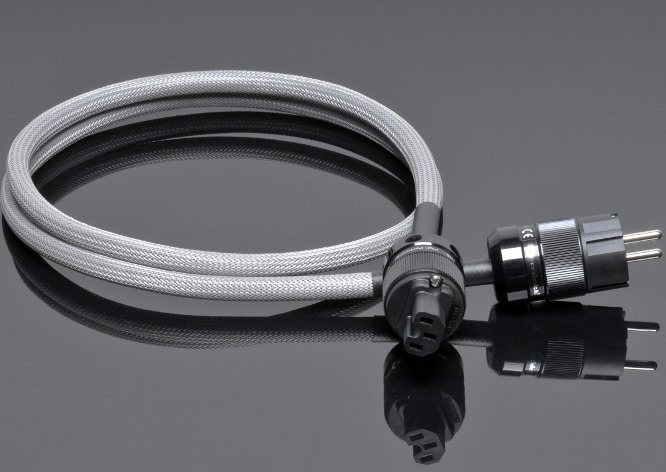 “LC-1 is the most affordable cable in the GigaWatt catalog. Taking into account its price, it seems to be a very attractive position among the company’s offerings, the more, taking into account, that it is the direct successor of the power cable Powercord Super – Power Audio Laboratories, which gained high acclaim on the market, and was more expensive. LC-1 is characterized by maturity and calmness. High class of the sound in supported mostly by a splendid evenness in the whole frequency range. Our attention was turned to the naturally drawn bass region. It does not boom, and it is not contoured, it goes into the lowest regions without problems, while keeping its vigor.